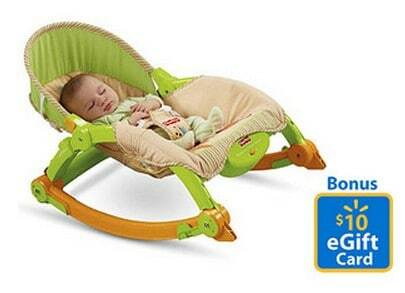 The Fisher-Price Newborn to Toddler Portable Rocker is on sale for $44.96 at Walmart.com right now. Plus you can get a bonus $10 eGift Card with purchase, so it's like paying just $34.96! Great gift for new baby!